Do you have a pickle lover in your life? 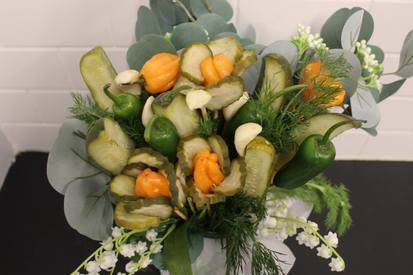 Surprise them with a Pickle Bouquet on Valentine’s Day!! Or on any day of the year, for that matter. It’s always a good time for pickles, right? This beauty was created by the pickle company Grillo’s Pickles. The only downside is that you can’t actually buy the pickle bouquet; however, you can make one yourself—and it’s probably not as hard to do so as you think.